As part of the GB Heritage Day, photographers Bruce Panock and Lynnette Najimy will lead a guided walking tour of the Great Barrington Fairgrounds from 9am - 11am on Saturday June 11. 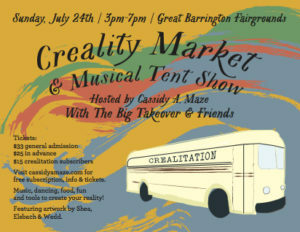 The Creality Musical Tent Show will feature interactive musical theater, dancing, and a staged reading of Crealitation, the Musical, featuring Cassidy A. Maze, The Big Takeover Band and members of the WIYOS. The event will culminate in a headliner set and dance party with the Big Takeover performing their own music. 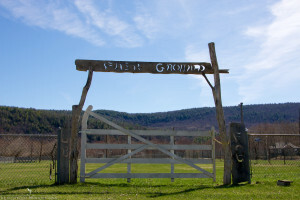 Learn the craft of timber framing and have a great time helping to rebuild the GBFG Cowshed! Email info@gbfg.org for more information. Proud to once again welcome the finish line for Construct, Inc's annual walk. Construct has been helping the people of the Southern Berkshires for more than 40 years. So much more than a warm bed, Construct is the only organization in the South Berkshires changing and saving lives through housing solutions and a continuum of related services. 4th Annual Berkshire Fermentation Festival!